Carmen Maria Machado: For me, this year’s genre and genre-adjacent pleasures included: the films The Witch, Hush, Arrival, 10 Cloverfield Lane, Spring, Absentia, The Last Exorcism, and Zootopia; the video games Until Dawn, Firewatch, The Wolf Among Us, and The Walking Dead; the TV shows Jane the Virgin, Crazy Ex-Girlfriend, and Stranger Things; the brilliant nonfiction books Pit Bull: The Battle Over an American Icon by Bronwyn Dickey, Shirley Jackson: A Rather Haunted Life by Ruth Franklin, Theatre of Fear and Horror: The Grisly Spectacle of the Grand Guignol of Paris by Mel Gordon, and Thrill Me:Essays on Fiction by Benjamin Percy; the comic series Saga; and the following fiction collections and novels: Amy Parker’s Beasts and Children, Vi Khi Nao’s Fish in Exile, Brian Evenson’s A Collapse of Horses, Helen Oyeyemi’s What is Not Yours is Not Yours, Danielle Dutton’s Margaret the First, Emily St. John Mandel’s Station Eleven, Giorgio de Maria’s The Twenty Days of Turin, Mikhail Bulgakov’s The Master and Margarita, and Julia Elliott’s The Wilds. Ian Mond: If there’s one thing that became apparent to me in 2016 it’s that the novels I enjoy the most are those that play around with structure rather than fall back on a linear narrative. This is clearly evident with my favourite book for the year, Adam Roberts’ tour de force The Thing Itself with its playful use of structure, thrilling imagination and boldness to reframe Kant’s transcendental idealism as a framework for altering reality. The book also happens to be utterly engaging, creepy, funny, and humane. 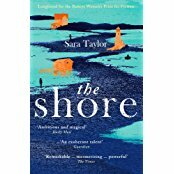 In the case of Sara Taylor’s debut novel, The Shore, the narrative trick is that the story bounces around in time across a three-hundred-year span. What’s especially stunning about the book—a story of female empowerment in the face of abuse, violence and the eventual fall of civilisation—is Taylor’s assured handling of the many shifts in tone and voice. And then there’s Matt Ruff’s brilliant Lovecraft Country, which substitutes a linear narrative for a series of linked novellas/novelettes. Set in America in the 1950s the novel is one of a number of works this year to take inspiration from Lovecraft’s mythology while critiquing his xenophobic attitudes. For all the brilliant cosmic concepts on the display—the haunted houses, secret rituals and dimensional travel—the novel’s true strength is its historical commentary of racism that sadly feels more relevant than ever. Other books I enjoyed included Colson Whitehead’s critically acclaimed (for good reason) The Underground Railroad, Grady Hendrix’s delightfully titled My Best Friend’s Exorcism, Ben H. Winter’s alt-history Underground Airlines, Victor Lavalle’s extraordinary novella The Ballad of Black Tom, Claire North’s conceptually smart The Sudden Appearance of Hope, the hilarious I Am Providence by Nick Mamatas, and last but never least, Erica L. Satifka’s wonderfully clever and funny debut novel Stay Crazy. Samira Nadkarni: 2016 has been the sort of year where I’ve really wanted escapism in my reading while wanting it to be in line with my personal politics. Given the grim political climate, I’ve been longing to read stories about people of different ethnicities that aren’t just based around war or communal tension and end happy (ideally with a goodly dollop of romance and/or fantasy), and in this search I stumbled across Less Than Three Press. They’ve got a few great novellas that manage diverse representations without ever thunking you over the head with it and I’ve appreciated that this year. 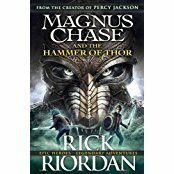 Rick Riordan’s Norse mythology YA series has been fun to read, particularly since Magnus Chase and The Hammer of Thor calmly introduced a trans and genderfluid character, Alex Fierro, to its list of racially and religiously diverse characters. Riordan’s noted that he might not be best placed to write mythologies from cultures he’s unfamiliar with and is working to promote voices from those cultures, which has been so great to see openly acknowledged on his part. On screen, Disney’s The Jungle Book in Hindi remains close to my heart. I really enjoyed Netflix’s giant robots vs aliens anime, Kuromukuro, which started out slow but really brought it home in the last two episodes. I have mixed feelings about the supernatural Western, Wynonna Earp, which I enjoyed for its snappy writing but has many of the problems endemic to its genre. Abigail Nussbaum: In film and TV, 2016 may be remembered as the year Hollywood tried to prove superheroes could have real political depth, only to demonstrate the opposite. As rampant authoritarianism and xenophobia became the bywords of politics the world over, the superhero genre repeatedly showed itself unequal to engaging with these ills without validating them. 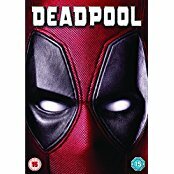 It’s fitting that the year’s best superhero effort was Deadpool, whose heroes are nothing but violent idiots. A few non-superhero bright spots include Arrival, not a faithful adaptation but a loving one, and the surprisingly relevant, Doctor Who-esque adaptation of A Midsummer Night’s Dream. In books, the best genre novel of 2016 is Sofia Samatar’s The Winged Histories. A deconstruction of its own genre that is both loving and clear-eyed, and a major work of modern fantasy. Kim Stanley Robinson’s anti-generation ship novel Aurora might not have deserved to win the Clarke, but it certainly deserved to be on the shortlist, as a bleak counterpoint to his previous 2312. N.K. Jemisin’s The Fifth Season did deserve to win the Hugo, and happily did, effortlessly combining Dying Earth SF, epic fantasy, and an X-Men style story about persecuted supers. In horror, I came late this year to two exceptional examples of the genre: Elizabeth Knox’s 2013 novel Wake, which does Stephen King better than he has in years, imagining a group of ordinary people trapped in a horrific situation; and Helen Oyeyemi’s 2009 ghost story White is for Witching, in which a legacy of racism haunts a family unwilling to acknowledge it. But the biggest surprise of the year was Tom King’s run of The Vision. A character whose MCU incarnation I’ve found tedious is transformed into something soulful and disquieting, as the Vision tries to live as a human being, with disastrous results. It’s one of the most engaging comics I’ve read in years, and one of the best SF stories of 2016 in any medium. Alexandra Pierce: Arrival. Arrival, Arrival, Arrival. 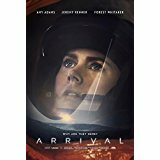 Although I only saw it recently, I’ll be thinking about Arrival a lot for a long time. It’s one of the most intelligent and intriguing movies I have seen for a long, long time. 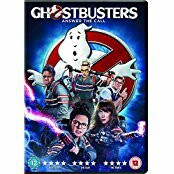 I also enjoyed Ghostbusters 2016. I finally got around to seeing Only Lovers Left Alive . . . what a beautifully shot film. Ditto with The Congress, an intriguing blend of live action and animation with Robin Wright (pre-House of Cards) playing Robin Wright, an ageing actress . . .
On the TV front, Orphan Black has continued to be magnificent and I’m terribly excited to see what comes next in the final series. And then I will rewatch the whole lot. The French miniseries Trepalium was bonkers and enthralling, as well as being deeply troubling in the current world political climate. I’ve also greatly enjoyed the Doctor Who YA spin-off, Class, written by Patrick Ness. There have been some magnificent novels and short stories this year. Angela Slatter’s Vigil was a delightful urban fantasy/crime set in Brisbane, evoking the city wonderfully; Jo Walton’s The Philosopher Kings does amazing things with ancient philosophy, time travel, and how to organise society. I have been fortunate to read Nnedi Okorafor’s Home, sequel to Binti, already; I imagine it will be getting a lot of attention when it’s out (Jan 2017). Same with Gwyneth Jones’ Proof of Concept—seriously, what I wouldn’t give to see that turned into a movie, preferably by the same people as did Arrival—and Seanan McGuire’s prequel to Every Heart a Doorway, called Down Among the Sticks and Bones. Anthologies have been good this year: The Starlit Wood, (edited by Dominic Parisien and Navah Wolfe) stood out; so did Defying Doomsday (Tsana Dolichva and Holly Kench) and Jonathan Strahan’s Bridging Infinity. And the graphic novels Saga (Brian K Vaughan and Fiona Staples) and The Wicked + the Divine (Kieron Gillen and Jamie McKelvie) also continue to be on my can’t-wait-to-read lists. 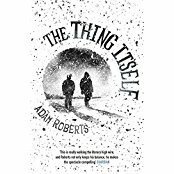 Kevin Power: My SFF book of the year was The Thing Itself by Adam Roberts: a gripping novelisation of Kant’s Critique of Pure Reason, by way of homages to John Carpenter, James Joyce, and Thomas de Quincey—a book that continues to disclose its secrets long after a first reading. Roberts himself has expressed his disappointment with the book’s reception, and promises that his next novel "will push no envelopes." This is a pity. Along with its predecessor, Bête, The Thing Itself does what so much SFF only pretends to do: i.e., it subjects our sad, belated world to the keen scrutiny of a searching mind, and finds some genuinely new things to say. The third season of Black Mirror (Netflix) looked like satire but was really something else: an anthology of technophobe contes cruel in which the victim is you, the viewer. The standout episode was "Shut Up and Dance": that final trollface text message was meant for all of us. Westworld was intricate, absorbing, stylish, and finally altogether too pleased with itself. Beneath its crystalline layers of narrative indirection, it was occasionally possible to discern an ambitious engagement with the "bicameral mind" theory of consciousness espoused by Julian Jaynes. But finally, the show’s arc was as smug and tightly pursed as one of Anthony Hopkins’s enigmatic smiles, and the opportunity to say something clear and savage about our chaotic historical moment was lost. Electra Pritchett: What a year. 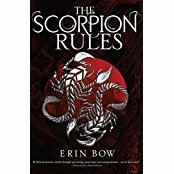 The best recent books I read were all YA: Erin Bow’s The Scorpion Rules and its companion, The Swan Riders; Leigh Bardugo’s duology, Six of Crows and Crooked Kingdom; Victoria Schwab’s This Savage Song, Kate Elliott’s Poisoned Blade, and Garth Nix’s Goldenhand. Re(re)ading deservedly classic series consumed a lot of my attention: Dorothy L. Sayers’ Lord Peter Wimsey novels and Diane Duane’s Young Wizards books, both of which are excellent. I’m behind in adult SFF, but Sofia Samatar’s The Winged Histories and Nisi Shawl’s Everfair got me through November. In a related genre, C.S. Pacat’s Captive Prince fantasy romance trilogy was amazing. It wasn’t a coincidence that the best genre and genre-related movies of the year had women leads: Ghostbusters: Answer the Call, the painfully timely Rogue One, and Hidden Figures. Moana, Kimi no na wa, and April and the Extraordinary World made a strong year for animated genre films too. In "catching up on TV" I devoured The Clone Wars and Star Wars Rebels, two excellent shows with uncomfortable relevance to our present political moment, and I fell hard back into anime with the incomparable Yuri!!! on Ice. On the manga front, CLAMP’s new Cardcaptor Sakura: Clear Card series is fun so far, and in comics, The Unbeatable Squirrel Girl is pure joy, while The Wicked + the Divine continues to enthrall. With General Organa’s death, the Resistance falls on our shoulders. Phoebe Salzman-Cohen: As mixed-up and difficult as this year has been, it also gave me Ninefox Gambit, by Yoon Ha Lee, which I think is going to join the small collection of books that I always carry around with me—both in terms of always having it nearby, and in terms of how much I’m thinking about it, months after I first read it. I always have a small hope, whenever I pick up a new book, that it’ll turn into one like this, but I suppose it’s special because of how infrequently it happens. Also in the department of difficult-but-beautiful worlds: Hyper Light Drifter and Duskers are probably tied for my video games of the year, because both of them managed to grab my emotions and not let them go, even if the larger story remained mysterious to me. This year, I also started catching up on some genre-y movies. The Thing and Starship Troopers are among my favorites, but the process of watching as many sci-fi movies as possible has been a pretty exhilarating one, even when I’m not a fan of the movie itself. I want to end by mentioning Steven Universe, which I came to a bit late, but which has brought me far more joy than I could have anticipated. Erin Horáková’s review says just about everything I want to say about it, but better than I could. 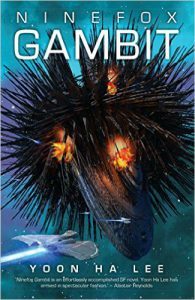 Christina Scholz: 2016 was a very good year for weird fiction novellas. 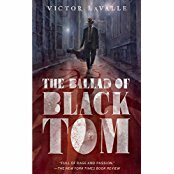 Victor LaValle’s The Ballad of Black Tom, a rewriting of "The Horror at Red Hook" from the perspective of a black jazz musician, is the best comeback at H.P. Lovecraft in my book. 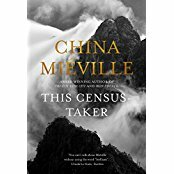 China Miéville had two great novellas out this year: This Census-Taker and The Last Days of New Paris. If you haven’t given the latter a try yet, please do: it’s a fantastic and political twist on the history of Surrealism and contains countless references to astonishing pieces of art. Other than that, I’ve been reading a lot of comic books. Warren Ellis’s series Injection and Trees are still going strong. Another personal favourite was Island, an ongoing comics magazine with serial instalments by various writers and artists, curated by Brandon Graham and Emma Ríos. Salik Shah: What an incredibly humbling year! I didn’t realize how miserable I was until I declared my love for speculative arts through Mithila Review. It’s liberating to be able to wholeheartedly embrace and actively contribute to this wonderful community of readers, writers, editors and publishers from around the world. This year I rediscovered the joy of binge-reading with Cixin Liu’s The Three-Body Trilogy . 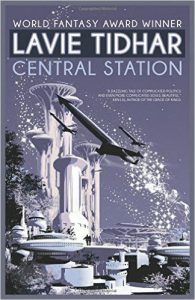 Lavie Tidhar’s Central Station and Yevgeny Zamyatin’s We, among other novels, offered dazzling, somewhat perplexing, but deeply illuminating experience than a television extravaganza like Westworld. Syfy got many things right with The Expanse (2015), and I have really high hopes for the series about to return in February 2017! Among story collections, Ken Liu’s Invisible Planets is an excellent introduction to science fiction and fantasy in translation from China. Carlos Hernandez’s The Assimilated Cuban’s Guide to Quantum Santeria is memorable and fun despite its minor flaws. Na Hong-jin’s The Wailing was probably the best film I saw in 2016! Compared to its pace, story arc, and setting, Arrival seemed clichéd and melodramatic. For all its visual spectacles and rumbling score, Hollywood failed to translate the vitality of Ted Chiang’s prose for me. You don’t need aliens to make the act of thinking look cool and interesting! AMC’s Rubicon (2010)—a realistic series about an intelligence analyst—is quieter, slower, and longer than Arrival, yet far more instructive, suspenseful and engaging. Simultaneous Worlds was a significant addition to the study of science fiction cinema from around the world. Maureen Kincaid Speller: In 2016 real life intruded so vigorously that reading fiction became too difficult for most of the year. In September, however, I started reading stories again and found some amazing things. I’ve sung Sarah Tolmie’s praises elsewhere at length but I continue to be delighted with Two Travelers. 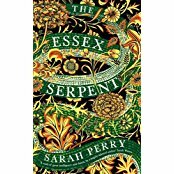 Sarah Perry’s The Essex Serpent is a thing of wonder. Literally. Mid-Victorians observing the natural world and trying to account for what they find there, science and mystery becoming entangled in ways I found very satisfying to read. Andrew Michael Hurley’s The Loney turned out to be a more contemporary take on not dissimilar issues. The two novels resonated with one another very pleasingly. I greatly enjoyed Christopher Priest’s The Gradual, and also Tade Thompson’s Rosewater. Paul Kingsnorth’s The Wake, and its sort-of-sequel, The Beast, were possibly not the best novels to read, post-Brexit, their protagonists both grappling with concepts of identity in the face of invasion; to read them is to feel one’s brain has been scoured by grit whipped up in a howling gale, invigorating but lacerating. Peter S. Beagle’s Summerlong might have been a balm for the soul but being the writer he is, it came also with a sting. I am relieved to be out of 2016, and overwhelmed but excited by the possibilities for reading in 2017. And I still want to find time to watch things too. Somehow, I feel that this year, more than any before, we will need novels, films, short stories, tv, poetry, not to escape to but to sustain and inspire us in what I fear will be very difficult times. Aishwarya Subramanian: I read more poorly in 2016 than I have in years, and was glad of goodness where I found it. 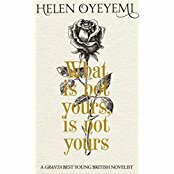 The year brought two collections of short stories that felt close to perfect—Helen Oyeyemi’s brilliant What is Not Yours Is Not Yours, and The People in the Castle, a new selection of short stories by Joan Aiken. I don’t have the critical vocabulary to think through what it is about these two very different writers and their relationship/s to whimsy and irony that makes me like them so much—I do know that if I wrote fiction at all they’re what I’d want to emulate. N.K. Jemisin’s The Obelisk Gate might actually be better than The Fifth Season; both richer and more even. During the worst week of the year I read and loved the first volume of Sana Takeda and Marjorie Liu’s Monstress—visually spectacular, it shares with the Jemisin books many of the emotional beats that I value in them. Other books: technically not genre at all, Alex Wheatle’s Crongton Knights takes the structure of a fantasy quest (complete with map), and is warm and clever and full of joy in its language. Amitav Ghosh’s The Great Derangement isn’t really about speculative fiction at all, though I found it impossible (frustratingly) to read it outside The Genre Debate, but has thoughts on narrative and literary realism and unhomeliness that right now feel relevant to just about everything. Jonah Sutton-Morse: 2016 was the year I (re)discovered how much I enjoy nonfiction. 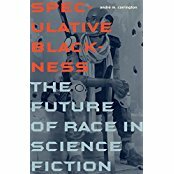 I began the year with André Carrington’s Speculative Blackness: The Future of Race in Science Fiction, a dense academic text that grapples with the “Whiteness of science fiction” while closely reading characters like Uhura and comics like Icon from Milestone Media. Each chapter lays out a theory and method for reading black characters amidst a white genre, then enacts that method on a text, which encouraged me to look further to where else the reading would be applicable. I also discovered Joanna Russ’s How to Suppress Women’s Writing, worth reading itself even if you’ve run across summaries elsewhere. Russ has a knack for narrowing in on a very particular rhetorical strategy, explaining it clearly, and connecting it to the tapestry she constructs. Perhaps most importantly. How to Suppress recognizes its own limitations, and encourages readers to seek out other authors addressing the ways their writing has been marginalized. Finally near the end of the year I read Gerry Canavan’s Modern Masters of Science Fiction: Octavia E Butler. Highly readable, this book utilizes the journals and rough drafts in the recently opened collection of Butler’s papers at the Huntington Library to give added depth to an outline of Butler’s life and works. First, go watch Steven Universe. If you’re already watching Steven Universe, congrats. Maybe give it a rewatch. Sophisticated adult-level sci-fi ideas, combined with adventure that’s fun enough to appeal to preteens, and unfathomably packed into eleven-minute episodes? Yes, please. Also, musical numbers. You should also read about aliens and sentience in "Touring with the Alien" by Carolyn Ives Gilman from Clarkesworld Magazine (also conveniently online). Widow" by Maria Dahvana Headley. Amal El-Mohtar are there to knock your socks off. There’s always so much great fiction, and too little time to read it all (and too little space to recommend everything worthy!). When we’re all uploaded into the great cloud, and we can make digital copies of ourselves and double-clock, I’ll read everything. Promise. And this SNL skit about mermaids. Linda Wilson: Out of the many sci-fi and fantasy novels I read in 2016, two particularly stand out. 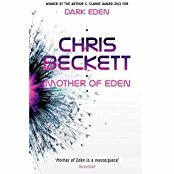 The first is Mother of Eden by Chris Beckett, the second in his Dark Eden series. A follow-up book can be weaker sometimes, but this, like the first, is a masterful and intelligent book. It is an imaginative evocation of a very different world with strong, believable characters, original dialogue and a gripping plot. At the same time it is an interesting study of the varied interpretation of origin myths. I couldn’t put it down! Next year I aim to read the final one of the series, Daughter of Eden. I also very much enjoyed Seveneves by Neal Stephenson. This gripping, imaginative, convincing account of a post-apocalyptic response involves building habitats in space, first extending the International Space Station and then moving beyond it. Some of the early sections reminded me in a good way of the first Mars book by Kim Stanley Robinson in the almost documentary-like approach: there is technical detail, politics, relationships, cultural development. Although I got a little bogged down by some of the detail and disagreements in the middle, the novel came to life again for me in the very different final section, which to avoid spoilers I will say nothing about—but it is highly recommended. As far as films go, Arrival is to me the standout film of the year. If you haven’t seen it, you’ve got a treat in store. Intelligent, thoughtful, with believable characters and a good study of what it might be like to attempt communication with a very different race of creatures, it was a world away from the apocalyptic thrillers that sometimes pass for sci-fi films. There is also a theme about loss, and time. . . . A very good experience.